engineering and fabulous audience facilities. has been of the highest order. through his easy-to-talk to and honest attitude. have delivered from beginning to end. to bear on the project. experience to bear as the design evolved. our wishes. For this we are very grateful. guided us through all the red-tape. deservedly won a Civic Trust Award. Established 17 years ago, we are now one of the leading architectural practices in the country specialising in the design and masterplanning of independent schools. Our portfolio of over 30 clients includes Malvern, Stowe, Bradfield, Giggleswick, Monkton Combe and Brighton College Abu Dhabi. squiresandbrown has built a reputation for delivering sensitive contemporary architecture on challenging historic sites. 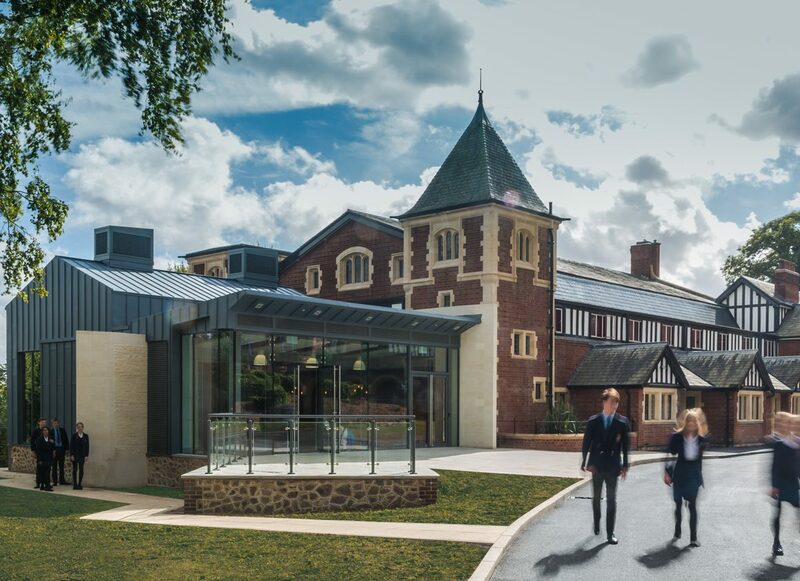 We combine creativity with extensive experience of the sector to produce beautiful, practical buildings for independent schools throughout the world. We provide a personal dedicated service led by a Director and focused on listening to our clients. We look to involve them throughout the design process to ensure our solutions are always tailored to their needs and best able to deliver their goals. Working with John and his team was a delight for us. He showed all the flair required to design a school that children would love and yet remained open to the discussions that were required by the school to ensure we had buildings that really worked and would stand the test of time. squiresandbrown have been outstanding in the way that they have gone about every aspect of their work with us. John and the team are an absolute delight to work with – their enthusiasm, proactivity, humour and professionalism have impressed and delighted everyone here……they have come up with solutions to problems that have defeated others and they work incredibly hard. squiresandbrown were a very easy company to deal with, and meticulous in their attention to detail, making sure that they understood what was required. The feedback they gave us was both imaginative in scope and extremely thorough. I would happily recommend them to any school looking to create a master plan. Our arts centre is a remarkable building, in tune with our unflashy ethos, our rich and eclectic architectural history and our credentials as a ‘green flag’ ambassador school. As you can see, I’m a huge fan. I’ve been through several ‘beauty parade’ experiences trying to find good architects: this one has been a winner! presenting proposals to the Governing Body. I would not hesitate to recommend her”.